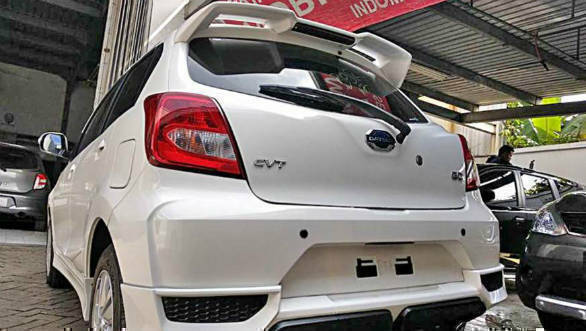 Pictures have surfaced of the Datsun Go facelift being tested in Indonesia. The facelift gets a new grille, slightly tweaked headlamps, new housings for the LED DRLs and reworked bumpers front and back. This particular example is also equipped with a body kit that adds a decorative front splitter and rear diffuser as well as side skirts. The outside mirrors now also have integrated turn indicators and a large rear spoiler. Another notable addition is an optional CVT transmission replacing the 5-speed manual. The interiors also get minor updates like a new steering wheel and new material finishes on the dash which were initially seen on the Cross concept. Exact details of any feature additions are not known yet. The tweaked headlamps and taillamps have also been influenced by this concept. Apart from the optional CVT, the car will remain mechanically unchanged. It will come with a 1.2-litre naturally aspirated three-cylinder motor good for 68PS and 104Nm. 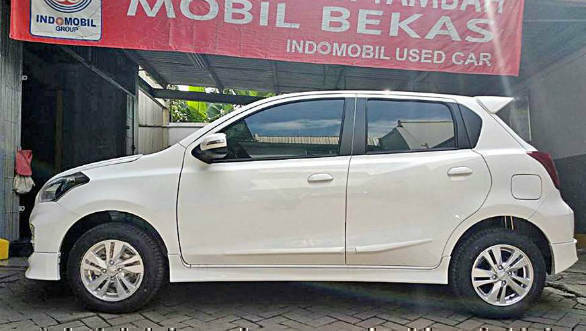 In terms of standard features, the Datsun Go gets a gear shift guide, front power windows, power steering, AC with heater, amplifier with two speakers in the front.A mobile docking station comes with an Aux-in, a USB port and an accessory socket. In terms of safety features, it gets seat belts in the front and rear, engine immobilizer, manual central locking and child lock. It, however, doesn't get ABS and airbags as standard. The Datsun Go, if launched with an automatic transmission, will compete with the Maruti Suzuki Alto AMT and the Renault Kwid AMT, among others. 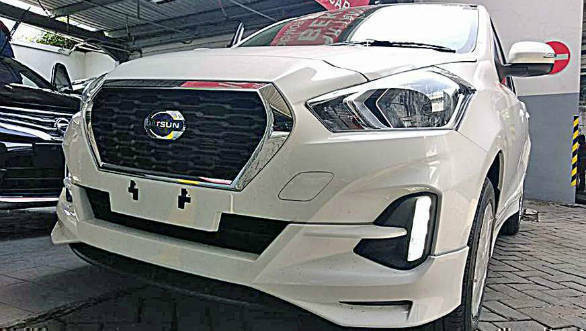 The Datsun Go has impressed with its low price point and this new facelift will give the car a more upmarket look and the convenience that comes with an auto. 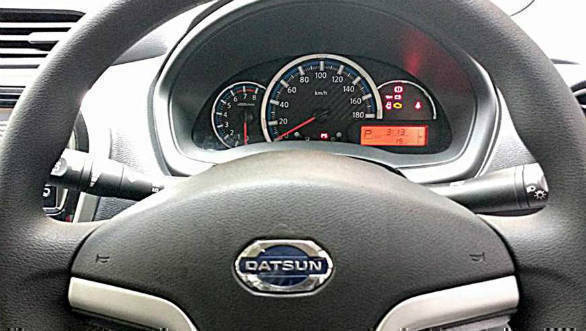 But Datsun could do well to improve on the Go's safety features, given the present car's questionable safety proposition.